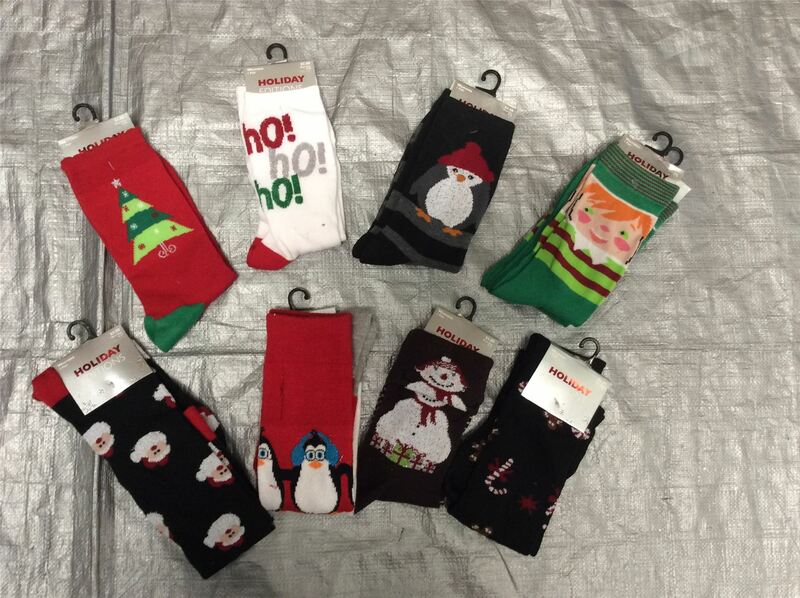 You are purchasing a wholesale lot of Brand New Christmas Socks. The lot consist of approx. 25 pairs. The brands included are a mixture of the following: Joe Boxer, Limited Edition & More. Click the button below to add the Wholesale Lot of Assorted Christmas Socks, Mixed Sizes & Designs, Lot of 25 to your wish list.